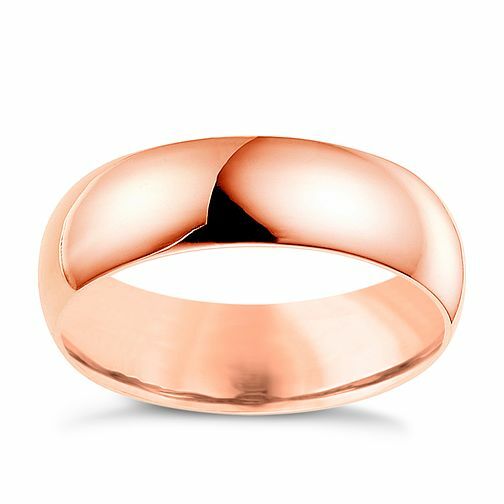 18ct rose gold extra heavy D shape 6mm wedding band. Classic and simple style, the perfect token of your love. A classic symbol of love.